Smok V12 Coil for TFV12, which comes with 3 pieces per pack, has 6 different resistance for your selection. 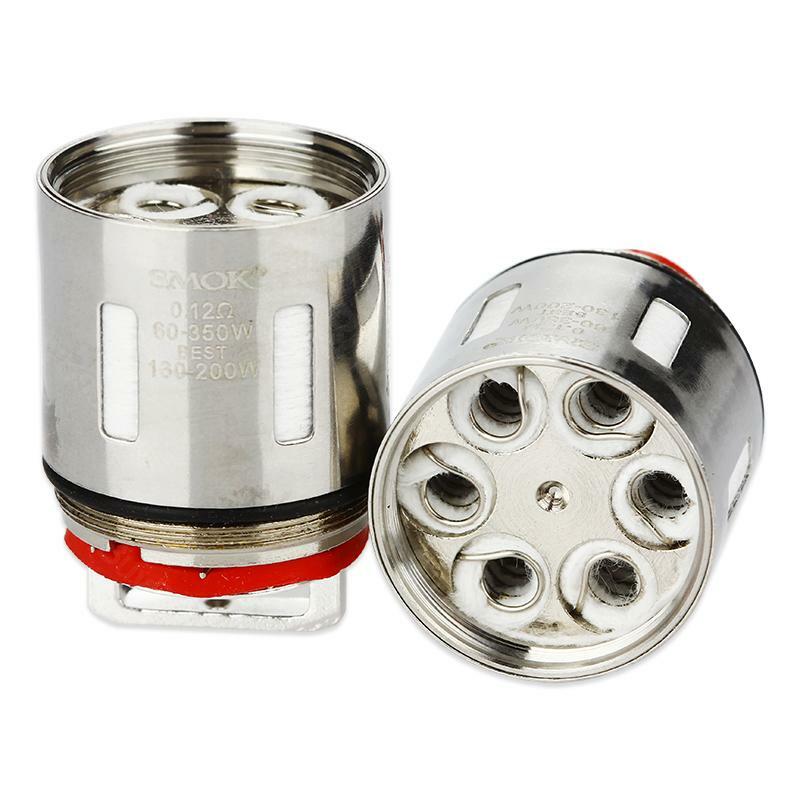 Smok V12 Coil for TFV12, which comes with 3 pieces per pack, has 6 different resistance for your selection that include 0.15ohm quadruple coils, 0.12ohm duodenary coils, 0.17ohm sextuple coils, 0.16ohm octuple coils, 15ohm quadruple coils and 0.12ohm fourteen coils. Just gei it to enjoy vaping. • It is suitable for Smok TFV12 Beast Tank. • Quick links: TFV12 Beast Tank. Smok V12 Coil for TFV12 is a 3pcs/pack coil with Nicotine-Free. Authentic and Genuine with the QR Code Verification Sticker located at the package box; CE and ROHS Verified; SMOK TFV12 PRINCE Replacement Coil 3pcs; 0.12 rated for 60-120W.